With its blend of tartan, heather and misty lochs, the lure of the Highlands is hard to resist. Sir Walter Scott’s romantic novels with his Land of the mountain and the flood captivated the Victorians and turned a trickle of tourists into a flood of its own. Among the Royals, Queen Victoria began the annual pilgrimage to Balmoral in the mid-19th century, and every summer her loyal subjects heeded the call. They sped through the Lowlands to brave the midges and the rain in Highland outposts from Pitlochry to Portree in a stampede that remains constant. Today, even the grimmest, sub-Fawlty Towers1 fleapit in Fort William will have ‘no vacancies’ in August. The region gave many early visitors to Scotland their first taste of whisky, and this bond was reinforced by early brands of blended Scotch in their marketing. Adverts bristled with kilted chieftains, pipe bands and the occasional comic, drunken Scot against a backdrop of mountains and glens. Earlier, the cult of Glenlivet had fuelled the boom in late Victorian distilleries on Speyside. 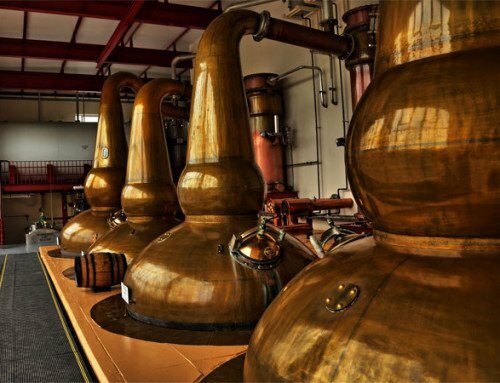 Way to the south west was Campbeltown, or ‘whiskyopolis’, and beyond lay the famously pungent whiskies of Islay. All this was bound to leave the Lowlands overshadowed in whisky as much as tourism. In countless whisky books, the region’s two surviving distilleries of Glenkinchie and Auchentoshan formed an appendix to the main story. Auchentoshan was famed for its light triple-distilled spirit while Glenkinchie was picked to represent the Lowlands among the original six ‘Classic Malts’ launched by UDV (now Diageo) in 1988. The range was the firm’s first serious entry into single malts and introduced the idea of whisky regions to mainstream whisky drinkers. Of course it should have been Rosebank, if the decision had been based purely on quality. But while Rosebank was dubbed the ‘King of Lowland malts’, its owners were faced with a £2 million bill to upgrade an effluent plant. It sat by the then stagnant waters of the Forth & Clyde canal and it wasn’t festooned with roses. Nor was its hometown of Falkirk booming at the time, whereas its rival lay in rolling East Lothian farmland and boasted landscaped grounds, two gardeners and a bowling green. On grounds of aesthetics there was no contest, and while Glenkinchie took up position on the Classic Malt plinth, Rosebank was closed in 1993, seemingly for good. Glenkinchie was sold as ‘an introductory malt’ for blended drinkers on their journey through the whisky regions of Scotland. Leonard Russell, MD of Ian Macleod Distillers, recalls that Lowland whisky was sometimes referred to as a ‘lady’s malt’, presumably for sipping with pinkie extended by the matrons of Morningside and Milngavie2. One of the supermarkets sought to help customers navigate the category by listing their single malts on a scale of ruggedness from one to five. Apparently, people simply assumed the numbers related to quality. The whisky writer Michael Jackson once predicted that: “If there is a God, Rosebank whisky would be produced again.” He may well know about God, having died in 2007 when the odds of the distillery being resurrected were a million to one, but his words have proven prophetic. 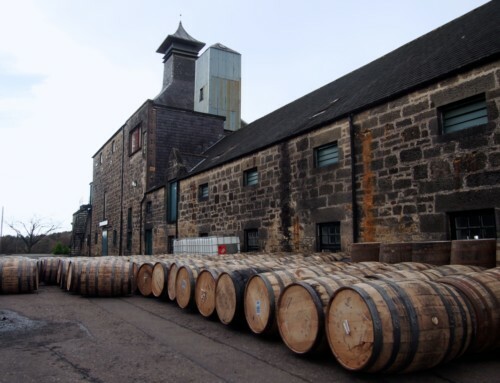 Last October, Ian Macleod Distillers announced plans to reopen the distillery, having acquired the site from Scottish Canals and the trademark from Diageo along with a few, precious remaining casks. Alasdair Day, co-founder of R&B Distillers, thinks that one reason Rosebank shut was its name. “From what I’ve heard, it didn’t sound Scottish enough,” he says. 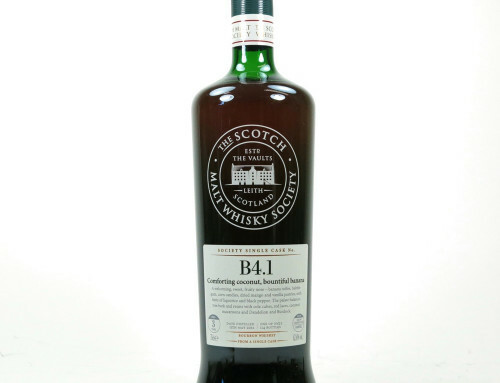 R&B stands for Raasay and the Borders, with the former now distilling away on the Isle of Raasay off the coast of Skye. The latter remains an aspiration, though one kept alive by the firm’s Tweeddale blend and its new Grain of Truth grain whisky. “My whisky connection is with the Borders,” Alasdair explains. 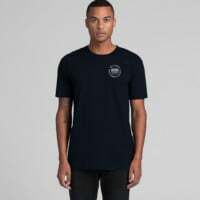 “My great grandfather worked in a licensed grocer’s shop founded in 1820. They were brewers, grocers and whisky blenders with a bond in Coldstream.” The town that faces England across the Tweed could not be further from the heathery, mountainous region we met at the start, but on the original labels the whisky was always referred to as a Highland Blend. The Lowlands may have been the cradle of commercial whisky-making thanks to the great Haig-Stein distilling dynasty, but its whisky didn’t have a great reputation. 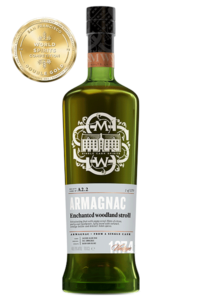 Robert Burns famously described it as “a most rascally liquor and in consequence only drunk by the most rascally part of the inhabitants”, while an anonymous contemporary quoted in Whisky by Aeneas MacDonald went further. He claimed the spirit from the large, flat-bottomed stills of Kilbagie and Kennetpans, owned by the Steins, was “only fitted for the most vulgar and fire-loving palates”. Far from being a ‘lady’s malt’, this stuff was rocket fuel. 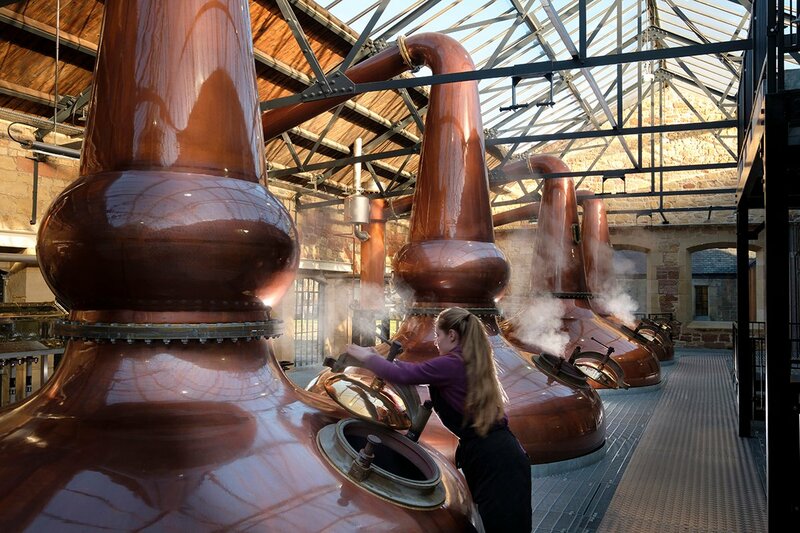 Yet to be fair, the tax laws forced the Steins to run their stills flat out, unlike those in the Highlands. It is also true that much of what the whisky mafia produced was not intended for drinking neat. It was for rectifying into gin, which the whole of London was hooked on at the time. James Stein is credited with the first serious export of spirt from Scotland, when he despatched 2,000 gallons to England in 1777. Within 10 years, the taxation was changed to protect English gin distillers and farmers, causing Stein’s market to collapse. One imagines his raw spirit would have then flooded the Central Belt, promising total oblivion for a few pennies. Most Highland whisky smuggled in from the north would have been a good deal softer on the tongue, and all the sweeter for being untaxed. Fast forward to 2009, when Unfiltered last reported on the Borders. We described it at the time as “a desert in an oasis of whisky. It is a relatively large region (covering almost 1,800 square miles) and boasts an abundance of natural whisky-making resources (water, barley), yet you are more likely to see a UFO in the Borders than a whisky still.” According to Alasdair Day, only three licensed distilleries ever operated there, all within a 17-year period. The last one closed in 1837 and now lies buried under the Co-op in Kelso. But the Border’s whisky drought is over. “We got our first nip on 6 March, and were delighted,” says John Fordyce of the new Borders Distillery in Hawick. The most land-locked town in Scotland is famous for its cashmere and tweed which was invented here, and he feels that helps explain the dearth of stills. “The overwhelming source of wealth from the 1770s all the way to the 1970s in the Scottish Borders was textiles,” he says. Although the region has lost many of its mills, the textile industry is starting to bounce back at the high end and Hawick never lost its base of skilled labour, which was part of the appeal for John and his co-founders. All four abandoned careers at William Grant & Sons to set up the Three Stills Co. and raise the £10 million needed to restore a rather beautiful Victorian factory, former home of the Hawick Electric Company, and convert it into a distillery. 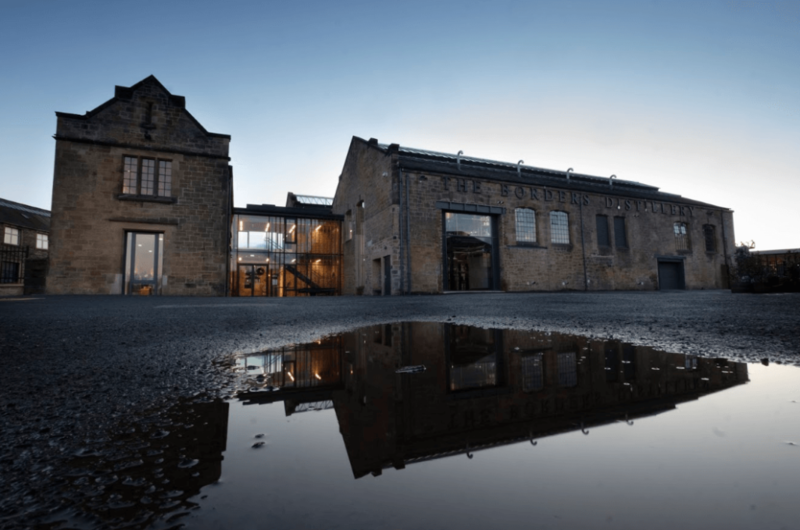 Together with its visitor centre, which hopes to attract over 20,000 visitors a year, its café and shop, the distillery has created 12 new jobs which will rise to 19 in due course. Meanwhile the region is being gradually reconnected to the outside world by train with the opening of the Borders railway in 2015, which goes as far as Galashiels. With sufficient political will and money it might one day reach Hawick, righting a wrong inflicted in 1965 when the town lost out in the restructuring of the railways following the Beeching cuts3. “There is a sense that the south of Scotland is like the American mid-west,” says John. “People drive through it to get to the main action in Glasgow and Edinburgh.” But he believes the region’s proximity to Manchester and Newcastle is helping to change that. “We’re their north,” he says. “During the referendum on Scottish independence, a DJ on Radio Newcastle said Newcastle should join Scotland so it could be the ‘affluent south’.” For Geordies, the Borders are no further than the Lake District and no less beautiful and a lot less crowded. This is not to mention all that has been happening in Fife, which deserves a feature in its own right. In brief, the resurgence of whisky-making in the county began with the tiny, self-sufficient farm distillery of Daftmill that received its license to distil back in 2005. 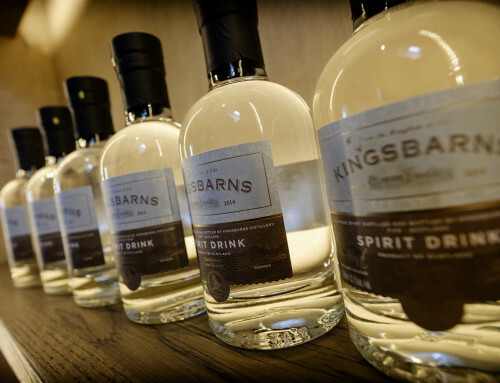 It has since been joined by Eden Mill, InchDairnie, Kingsbarns and Lindores Abbey, with the Aberargie distillery just across the border in south Perthshire. Add in the new wave of urban distillers in Glasgow and Edinburgh, and it becomes clear that the ‘Lowlands’ has grown exponentially in less than a decade. Future whisky books will have to give the region a full-blown chapter at the very least. 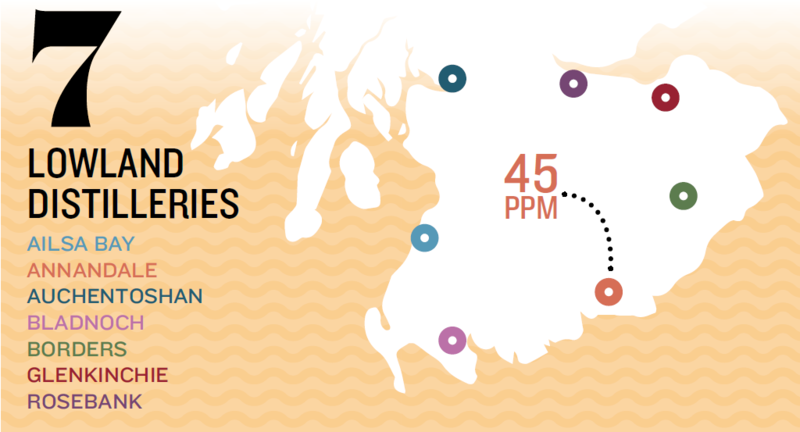 But to describe everything south of the Highland line as a region doesn’t sound quite right, and to suggest there is some defining regional style of whisky is even more problematic. The delicate, grassy character of Glenkinchie was once said to epitomise Lowland whisky, but we have moved on from that Classic Malt plinth. The new generation of distillers don’t want to be constrained by past definitions, as they are all busy doing their own thing. And yet it does tend to be on the more fruity, estery end of the spectrum talked about by John Fordyce. That is hardly a definition, but it does suggest that if the pendulum swings from the more extreme end of macho malts to something more subtle and understated, the Lowlands may well benefit. One early 19th century outpost of whisky-making in Dumfries & Galloway that has survived against the odds is Bladnoch, which is now in better shape than it has been for a long time. Founded in 1817 by John and Thomas McClelland, this pretty distillery on the edge of Wigtown was like an unwanted child forever up for adoption. It had had seven owners by the time United Distillers took it over in 1992, only to close it after two years when it was sold to Colin and Raymond Armstrong. 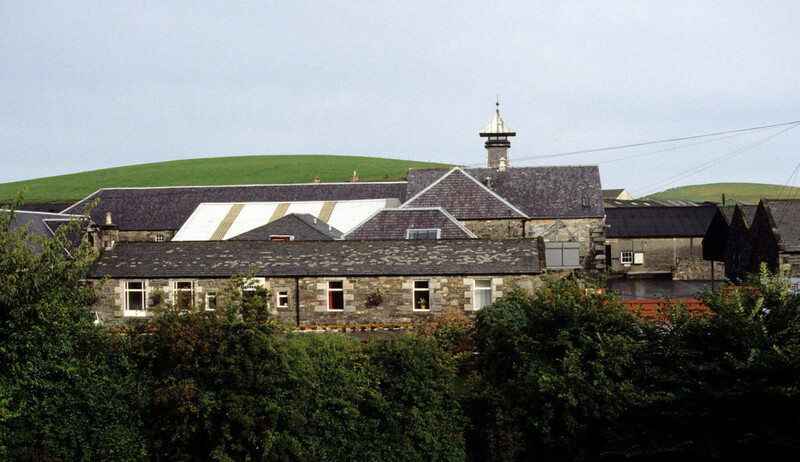 According to Ian MacMillan, Bladnoch’s master distiller, the Armstrong brothers had originally planned to convert the distillery into housing but were thwarted by its listed status. They became distillers by default, making whisky sporadically until Bladnoch fell into administration in 2014. “It was very run down,” says Ian, who was taken on by the Australian entrepreneur, David Prior who bought the distillery in 2015. “We scrapped virtually everything as the stills were dangerously thin, the mash tun had a major crack in it and the washbacks were all rotten.” Having craved investment for so long, Bladnoch finally had an owner with the means and motivation to give it the TLC it deserved. 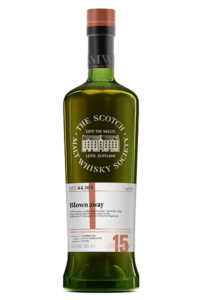 It now has four new gleaming stills that were fired up in July 2017, and an inventory of casks going back to the 1980s, including some Ian was able to acquire from Chivas Bros.
“I wanted to continue the Bladnoch style with its grassy, citrusy notes and its linseed oil nose on the new-make,” he explains. 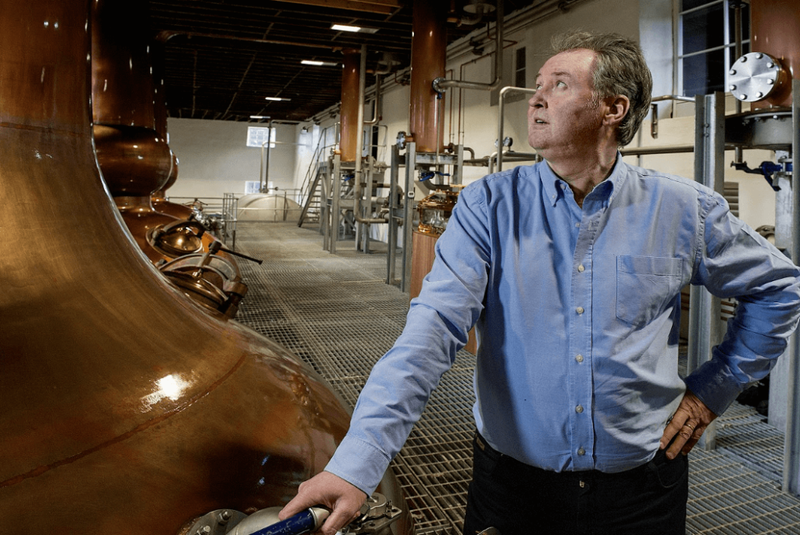 “But I always thought the spirit was a bit dry, so I wanted to put a little bit of sweetness into it and add a bit more weight.” The water used at the distillery is the peatiest he has ever seen from his days as a distillery manager on Islay and Mull. “It’s got this lovely, dark, golden brown colour.” For five weeks a year Bladnoch is distilled from peated malt to reflect the fact that for most of its history it would have been quite a smoky whisky. Local peat would have been used to dry the malt until the kilns were ripped out in the 1960s. Some 70 miles due east, by the mouth of the Solway Firth and barely a stone’s throw from the English border, is Annandale. “It’s the first and last distillery in Scotland depending on which way you’re driving,” says general manager, David Ashton-Hyde. After 99 years, latterly with John Walker & Sons, who sold it in 1924 (after stopping production in 1918). Stripped of its equipment, it was never expected to make whisky again until the arrival of Professor David Thomson, who bought the site in 2007. That was partly thanks to the enthusiasm of his wife Teresa, who sowed the seed by buying him a copy of Brian Townsend’s guide to the country’s lost distilleries Scotch Missed, which features Annandale. 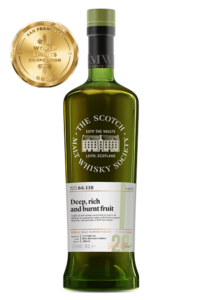 With the support of the late distilling consultant Dr Jim Swan, the distillery finally returned to production in November 2014. That year 188 casks were filled, of which 20 were bottled in 2018, half as the unpeated Man O’Words single malt and half as the peated Man O’Sword. “We’re surrounded by peat here and it’s still cut locally,” explains David, who believes the original Annandale whisky would have been pretty smoky. At 45ppm, Man O’Sword certainly fits the bill. “But it’s still got a nice fruit character underneath, and it’s not an oily peatiness that coats your mouth,” he says. Meanwhile, in a nod to Rabbie Burns, the distillery has been bottling some of its newmake as a ‘Rascally Liquor’. While some whisky drinkers shot straight to the end of the Classic Malt plinth, as it were, never to return, others are more open to exploring the rich diversity of regional malts. Those loosely defined as ‘Lowland’ are more numerous and varied than they have been for a lifetime. The scenery can be pretty stunning too. Indeed, it is somewhat ironic that Scott’s Land of the mountain and the flood was actually written about the Borders. If only those misty-eyed Victorians had been paying attention! 3a huge reduction in the UK’s rail network overseen by Dr Richard Beeching with his report <The Reshaping of British Railways> (which also saw the closure of the Speyside railway line). A special thanks to Richard Goslan. This in-depth article originally appeared in the SMWS Unfiltered Magazine which is produced quarterly for members of the SMWS.  To get great articles like this (and of course great single cask whisky to imbibe on while you read) join the SMWS today by clicking here.